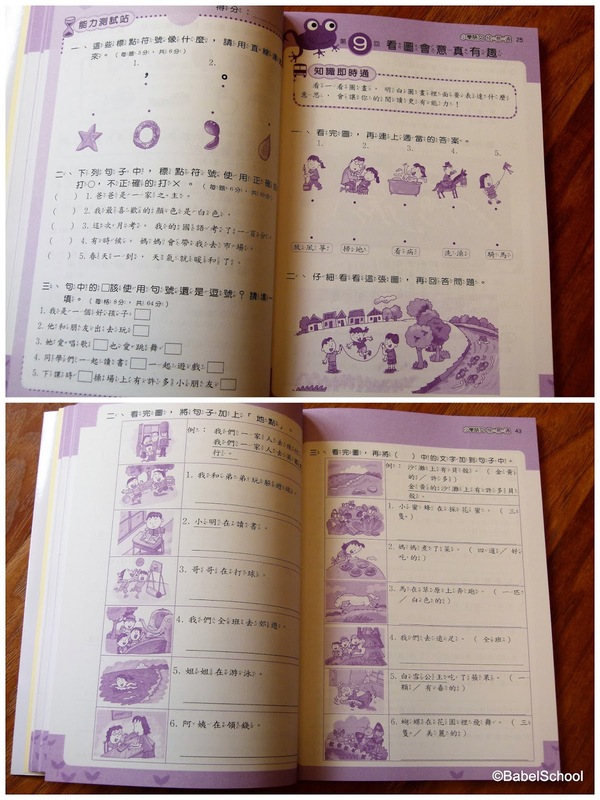 The main textbooks we use for teaching Chinese are the books provided by school. 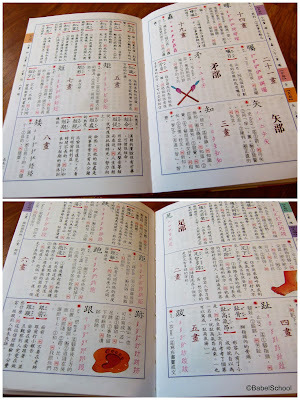 There are three main textbook publishing companies in Taiwan: Kangxuan 康軒, Nanyi 南一 and Hanlin 翰林. Each school (or even each teacher) can choose the publisher themselves. 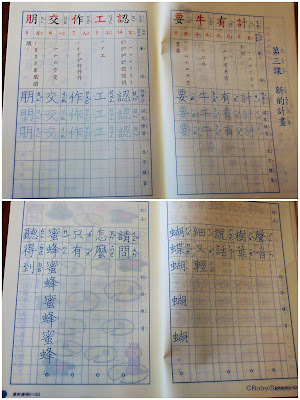 This year Ania's teacher is using Kangxuan and that what we are getting as well. 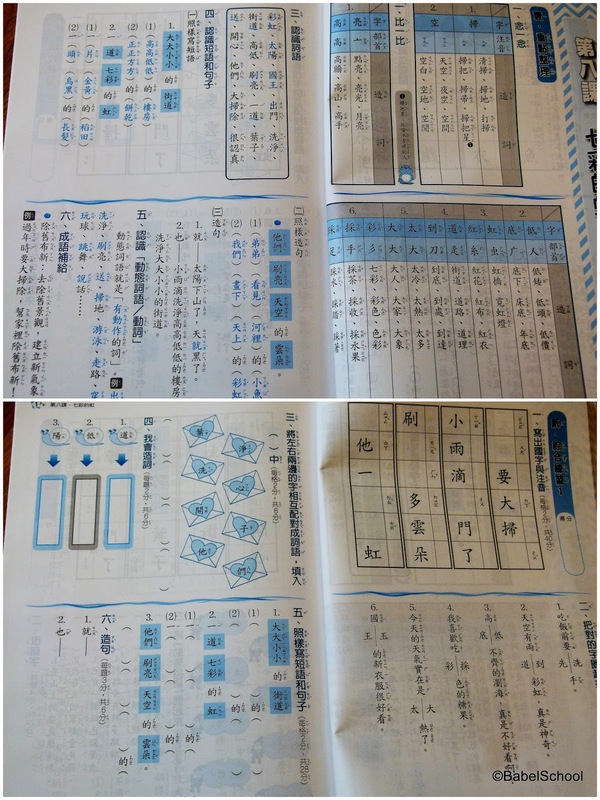 There is a whole set of books, workbooks, prep-books, tests that go together. This is what we have (it's only a part of what is available for 1st grade from this publisher). 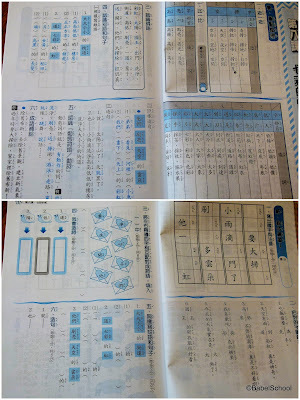 And now comes the test-prep exercise book - which I find very helpful, because it gives many examples for grammar and vocabulary exercises. From time to time I also print out some worksheets from the internet. 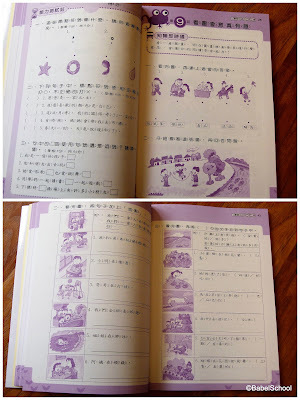 On the New Taipei City Bureau of Education website you can find ready to print writing exercises for textbooks from all three publishers. 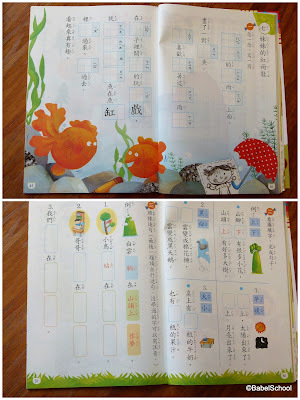 All seven books are connected - they have corresponding lesson numbers throughout all of them so they teach the same characters and sentence structures. It may get boring after filling out so many similar worksheets, but fortunately Ania likes it. 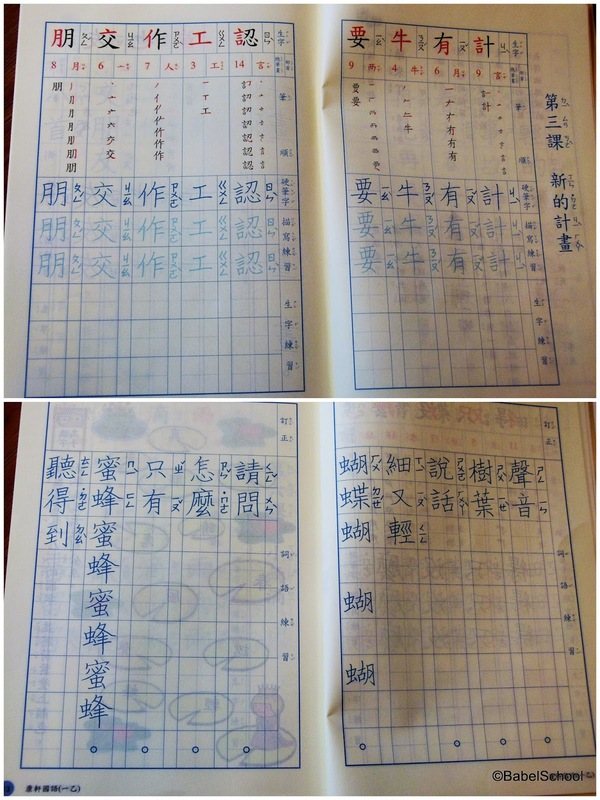 That was not the case with Zosia and Jas, they hated school textbooks and we never got beyond the first few lessons. With Zosia and Jas I used more the workbooks from Fireflybooks Publishing Company 螢火蟲出版社. The exercises in them are more interesting, they deal with real life situations and not with flowers and talking animals. 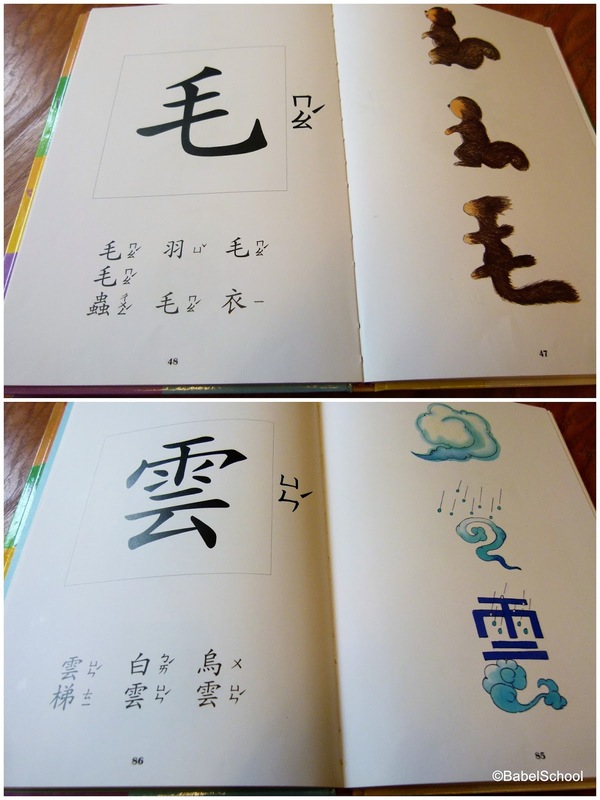 Another book that I used a lot with Zosia and Jas is a set of textbooks published by a university in Hong Kong. Each lesson introduces through a short text, usually a rhyme, a set of new characters that look very similar to each other or have something else in common. 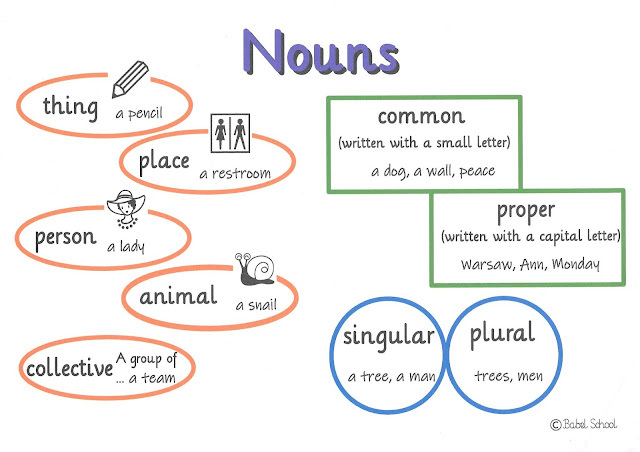 Beside all these textbooks and workbooks Ania uses also a dictionary. She is already a pro in finding the characters quickly. 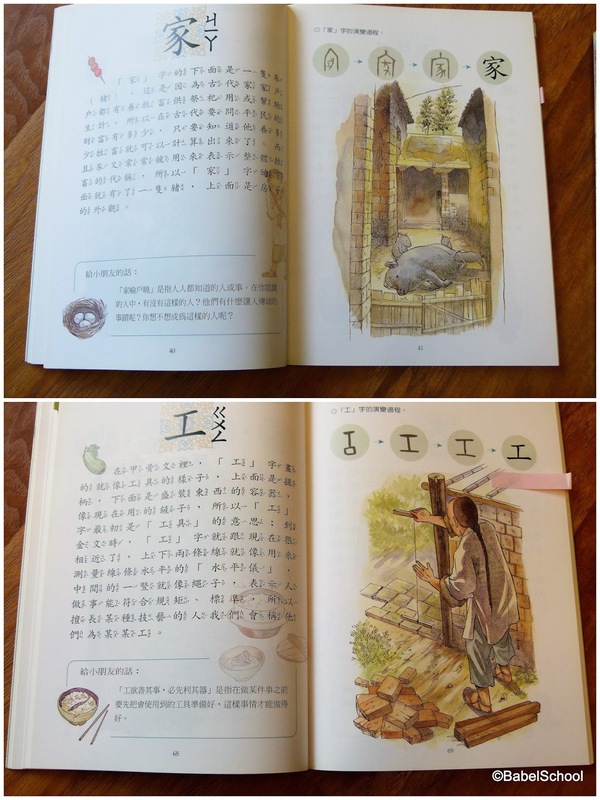 For now she is using Zosia's old dictionary, it's very clear, print is quite large, paper is thicker (not easy to tear) and there are plenty of examples for each character. 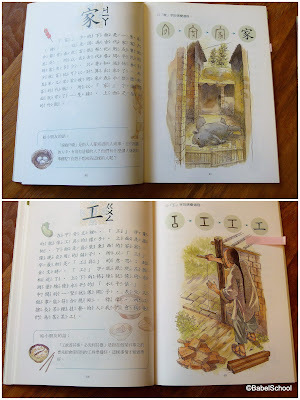 All three kids loved the teaching material for Chinese that we bought when Zosia was tiny - a set of three books + picture cards + character card. From a very early age the children love placing the cards on the floor and matching characters to them. 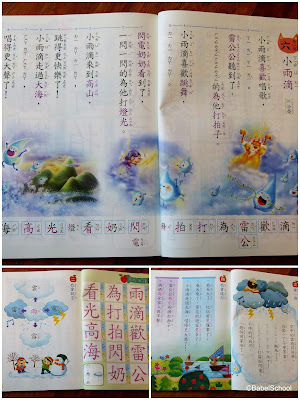 We still have a few more books for learning Chinese, but they are for older kids and adults. Some of them I've mentioned a few years ago in THIS POST. I also made a list of websites for learning Chinese, you can find it HERE. 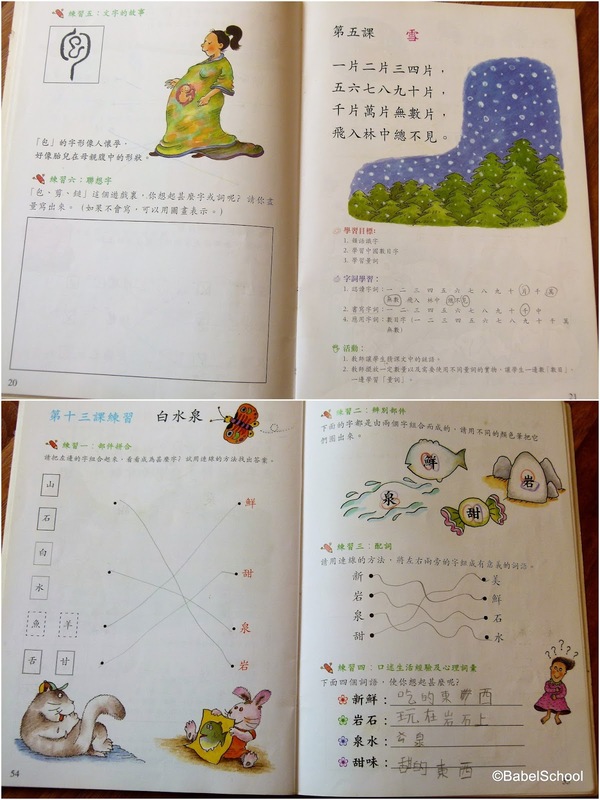 Please share in the comments what kind of Chinese teaching materials you are using? Te karty są świetne! Gdzie można je kupić? Sama chętnie bym się pobawiła takim zestawem! 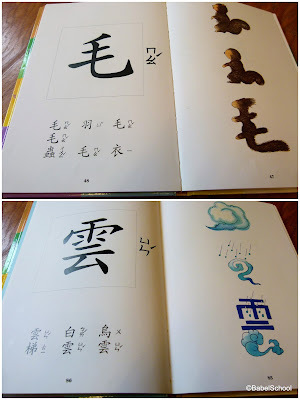 Jest wszystko co średnio zaawansowany /początkujący uczeń chinskiego potrzebuje - jest znaczenie, jest ideogram, jest ton, jest wymowa (szkoda że w bopomofo, ale to do nauczenia w kilka dni). Ja podobnie jak Twoja Ania lubię pisanie znaków - tak po prostu, dla uspokojenia przez godzinę lub dwie "krzaczkuję" sobie w zeszycie. 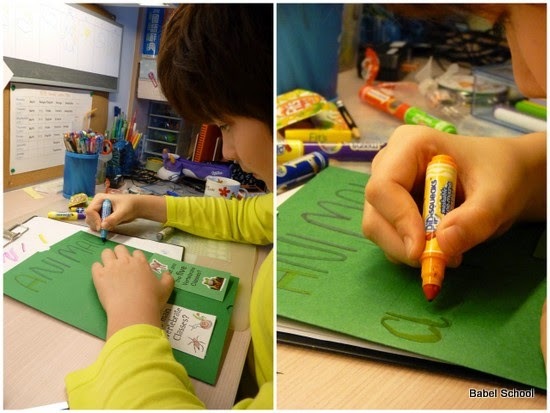 Nie jest to kaligrafia pędzelkiem o wysokiej wartości artystycznej - ale nawet takie zwykłe skrobanie ołówkiem cudownie relaksuje.